Morris Klein’s practice focuses on legal issues faced by persons who are aging or incapacitated. 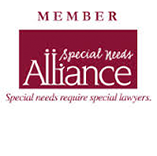 This includes Medicaid eligibility, special needs planning for the disabled, guardianships, and drafting essential documents such as powers of attorney, health care advance directives, trusts and wills. The practice also includes estate planning, probate and the administration of trusts and estates. He can help clients who are facing a crisis (e.g., imminent admission to a nursing home) as well as clients interested in future long-term care or estate planning. Morris Klein is a leader in the practice of elder law. 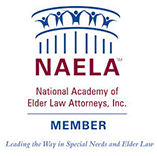 He is a Certified Elder Law Attorney (CELA) by the National Elder Law Foundation and is a Super Lawyer in Maryland and the District of Columbia. He is a Fellow of the National Academy of Elder Law Attorneys (NAELA) and is a member of the NAELA Council of Advanced Practitioners. He serves on the NAELA national Board of Directors as well as the Board of Directors of the Special Needs Alliance. He is a co-founder and former president of the NAELA Maryland/DC Chapter. 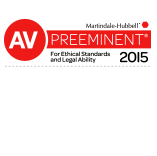 Known to his clients and peers for outstanding legal service, Morris Klein is AV® Preeminent™ Peer Review Rated by Martindale-Hubbell® for his professionalism and ethics. He also teaches continuing education classes on elder law topics to attorneys and other professionals. Attorney Klein is a past chair of the Maryland State Bar Association Elder Law Section (where he remains on the Section Council) and a past co-chair of the D.C. Bar Estates, Trusts and Probate Section Steering Committee. He is also a past chair of the Montgomery County Bar Association Elder Law Section and one of the original members of the Board of the Directors for the First Maryland Disability Trust. He was appointed by the Governor of Maryland to serve on the Task Force on Long Term Care Education and Planning. 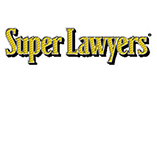 He was previously named in Washingtonian Magazine as “a best lawyer” for elder law in the Washington, D.C. area. He also served as a board member of the National Capital Chapter of the Alzheimer’s Association. Morris Klein serves clients in Bethesda, Maryland, across Montgomery and neighboring counties, as well as in Washington, DC. Call Morris Klein at 301-652-4462 or contact the law office online to schedule an appointment. Morris Klein is located in Bethesda, MD and serves clients in and around Chevy Chase, Garrett Park, Glen Echo, Silver Spring, Takoma Park, Potomac, Mount Rainier, Cabin John, Derwood, Washington Grove, Hyattsville and Montgomery County.